I was not ready for today’s Healing Our City prayer service at the Cathedral of the Holy Cross in Boston. I was not ready to be resilient. I a little more time wailing, keening, and weeping over the tragic deaths of two young women and a boy and the many devastating injuries caused by the bombings at the Boston Marathon. I want to know that all the injured have medical care and insurance coverage that will see them through what may be a long treatment period, especially for those who lost a limb. And many will need counseling, even many with no physical injuries themselves. I want the perpetrators–apparently two carelessly malevolent young men–arrested. But, like many, I watched the service. I was touched by Mayor Thomas Menino, rising from his wheelchair, his broken leg giving him an unspoken connection with the victims. “Nothing will take us down because we are here for one another,” he said, as he talked about the kindness shown by the many who came to the aid of the injured and the runners on Monday. 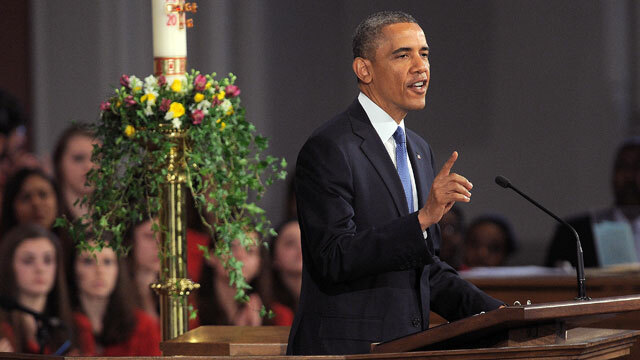 President Obama spoke movingly of those who died, giving them life again in our hearts: Martin Richard, Krystle Campbell and Lu Lingzi. He was inspirational and determined, reminding us: “Even when our heart aches, we summon the strength that maybe we didn’t even know we had. We finish the race. 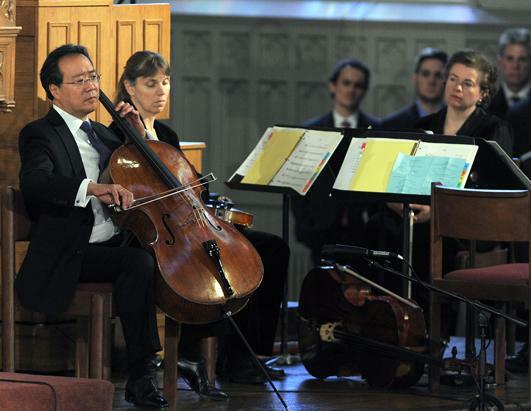 Yo-Yo Ma expressed what words could not. He performed the hauntingly beautiful Sarabande Bach’s Cello Suite No. 5 in C Minor, a piece Ma also played following the September 11 terrorist attacks. I am feeling stronger, even resilient. I am thankful for today’s message of hope from the many religious leaders and government leaders who spoke, and from the singers and instrumentalists who gave us time to mourn and a message of hope. I understand…you said it so eloquently!